The 2017 Japanese movie Gintama (銀魂) will play at the Hollywood Theater in Dormont on January 20. 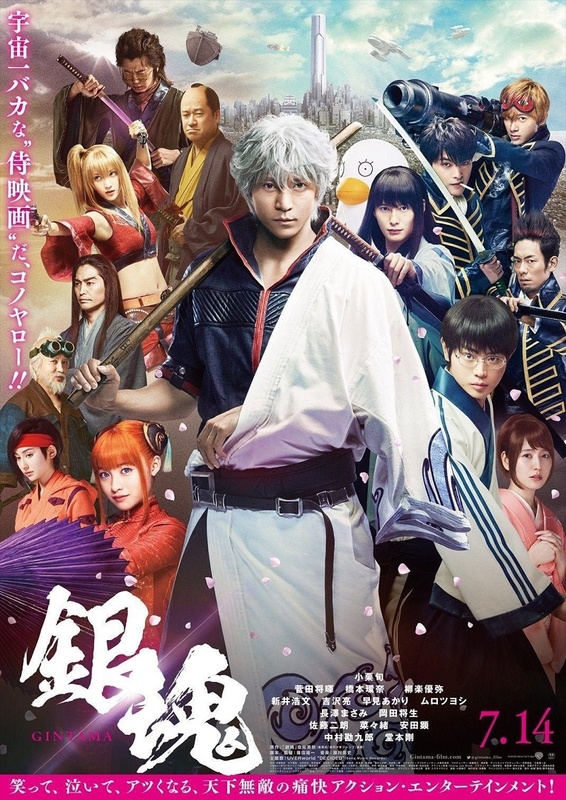 Based on the best-selling action comedy manga by Hideaki Sorachi, GINTAMA takes place in an alternate Edo-period Japan, where an Alien race has taken control, forcing Samurai to lay down their swords. Once feared as the “White Demon,” former samurai Gintoki Sakata now works as an everyday handyman – until a master swordsman tasks Gintoki and his friends with finding the cursed sword Benizakura to keep it from falling into the wrong hands. Packed with the sword- swinging sci-fi action and offbeat humor that have made the manga a classic, GINTAMA is bound to delight both fans and anyone looking for a journey to a visually-stunning universe where fantastical action lurks just around every corner. Released in Japan in July, Gintama is the third-highest grossing domestic film in Japan this year. Tickets for the two screenings, 4:00 pm and 9:00 pm, are available online.